Foot Mobilisation Techniques is a treatment option that consists of manipulation by your podiatrist; the practitioner uses their hands to bend, stretch or extend parts of your foot. FMT is all about resetting the bones in your feet by realigning the bones and joints, activating neuromuscular systems within the foot, and creating movement in the muscles and tissues as well. It’s a hands-on technique, targeting specific joints in the foot. The treatment (and the movement) will often only take a few minutes. What makes this treatment so powerful, is its lasting effect. Because the podiatrist moves exact joints, muscles and tissue, fluids start flowing more freely in that area. And this flow keeps going for 48 to 72 hours after the manipulation. In other words, up to 72 hours after your treatment, your body is replacing damaged tissue cells by new, healthy cells. 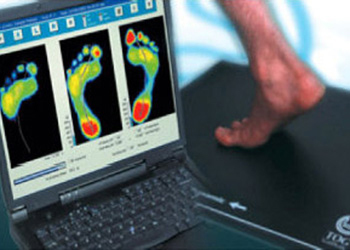 Foot Mobilisation Techniques will be part of your podiatry treatment plan at The Foot Clinic. The sessions will be combined with strengthening and stabilising exercises, and sometimes also advice on the use of orthotics. Your podiatrist will always assess the footwear you use for your daily activities (walking, work or sports related shoes). Flat feet, as the name implies, is when your foot doesn’t have an arch and is lowered, or flattened. At a young age this is normal but it should develop in time and provide full support. Thor Laser Therapy uses an infrared light to penetrate into the dense tendons, the fascia and the joints, and stimulate the healing process. 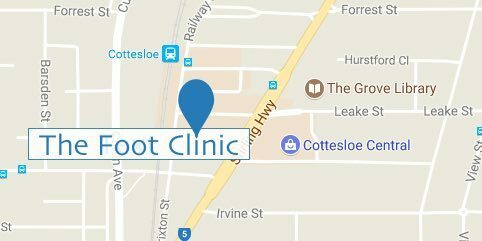 At The Foot Clinic Perth (Cottesloe Central) we nurture a passion for the bio-mechanics of the body. How you walk, stand or run will influence the pressure on various parts of your feet and legs. This can cause strains and discomfort, and we we use a detailed bio-mechanical assessment to understand and improve your gait. It’s important to first pay attention to your foot health, and to the way you use your feet. If you suffer from poor alignment, it may cause discomfort and pain, so you might walk differently. This, in its turn, will create more pressure and can cause other problems in other areas of your lower limbs. What started out as a foot positioning problem. now becomes a problem of the ankles, the knees, the hips or even the spine. Improving the bio-mechanics of your body will create a better balance, and it will balance the weight-baring, so you don’t overuse certain joints, tendons, muscles and ligaments. Treatment including Foot Mobilisation Techniques will always look at the bigger picture, and help you make small adjustments, so you can improve your overall foot health, your posture, your lifestyle and habits, and enjoy good health, from the feet up. At the Foot Clinic, we have worked with athletes, sports professionals, mums and dads, and children, in a variety of situations. Our mission is always to build better bodies, from the feet up. When we include FMT in your treatment plan, we will always make sure you are well taken care of. Our team of friendly and experienced podiatrists will be happy to answer your questions, and will ask you the right questions, so we can personalise your treatment, and give you the joy of happy feet and a great quality of life.